Remember way back in the glorious month of June when we reported that Zelda Wii may have been delayed for Wii Motion Plus, and how Miyamoto was really pulling for it? Well, there has to be a reason to want Wii Motion Plus to begin with. What can it bring to the series? How can Wii Motion Plus make Zelda Wii pop? 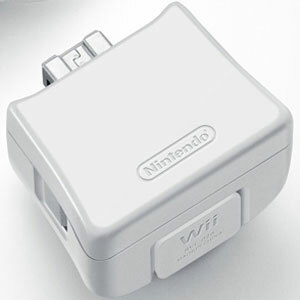 We all know about the 1:1 controls that everyone seems flabbergasted about that we were suppose to get with the original Wiimote, and we all are aware of the speculation over a first person Zelda. However, there are definitely other benefits to Wii Motion Plus. and the world needs to be ready should Nintendo hit us hard with some love. Brian Bentley of Aggro Gamer gives some insight into five of the possible additions that Wii Motion Plus will add to the series. So, how could the Wii Motion Plus make Zelda Wii pop? The five areas he hits: the boomerang, duel-wielding wiimotes, the bow and arrow, the Master Sword, and customization. Some of these seem obvious, especially since we have seen the uses of Wii Motion Plus on Wii Sports Resort. What I found to be pretty neat was what he had in mind for the Customization aspect. None of these suggestions and others that ran through my mind for this article (bomb throwing and using the hookshot on absolutely every surface) would mean anything without being able to customize my experience. Nintendo, don’t force me into a control scheme. If a user doesn’t like one-to-one sword control, that is perfectly acceptable to return to swinging a sword with the Twilight Princess setup or better yet, map it to a button. Hell, use the Gamecube or Classic controller. There are more than enough buttons on both of those to sustain an entire control layout. I’m not talking choose one of three control schemes, I mean true customization. I want the new bow&arrow style on, but the boomerang off. We’ve almost closed the book on the first decade of the 21st century, Nintendo, it is time to give us a Legend of Zelda game where we decide how we will play and ultimately defeat Ganon… again. You can check out what he had to say about the other aspects listed by reading his thought provoking article. So, what do you think? How can Wii Motion Plus take Zelda Wii to the next level?